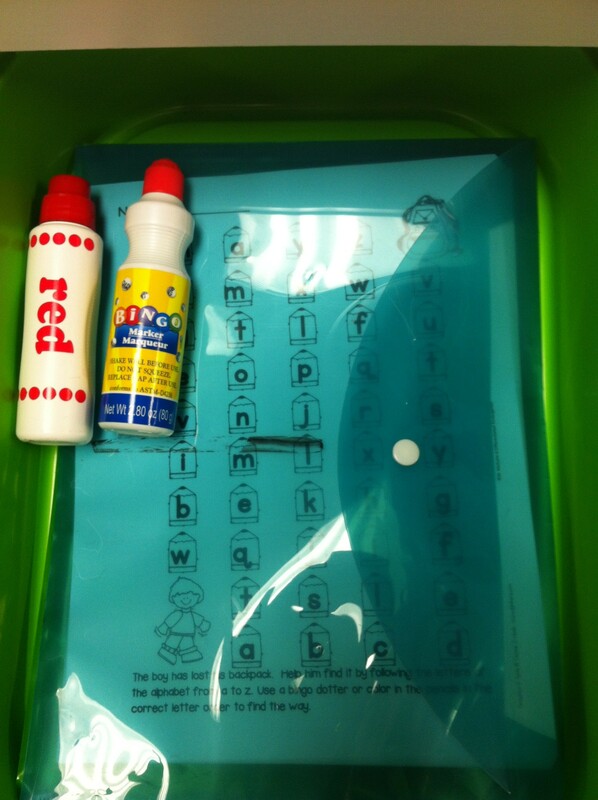 Here is a look at my first Literacy Work Stations for this year. We will have been in school for 20 days by the time I introduce these today. I have modeled all these activities for the kiddos already and they have tried their hand at them at least once. 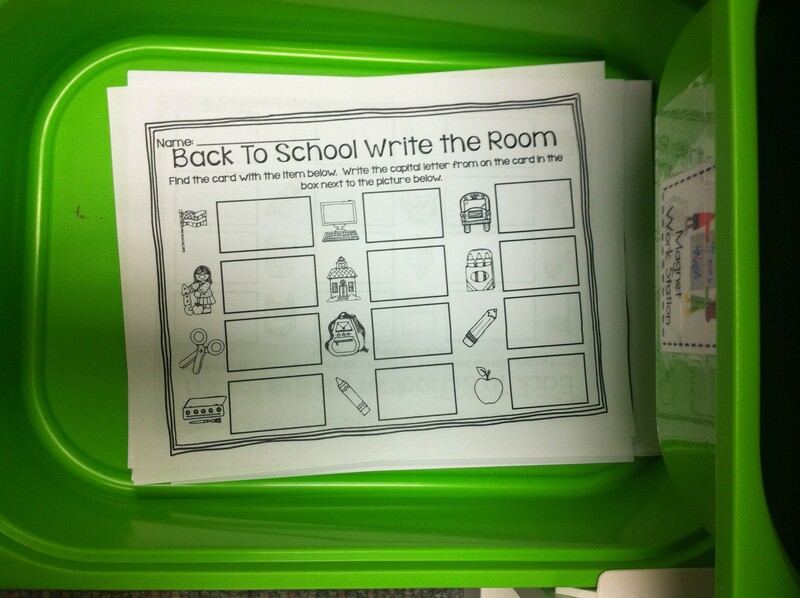 This activity is from Marsha Maguire’s Back to School Word Work Galore pack. Its full of activities that are just right for my Kinders at this point in the year! 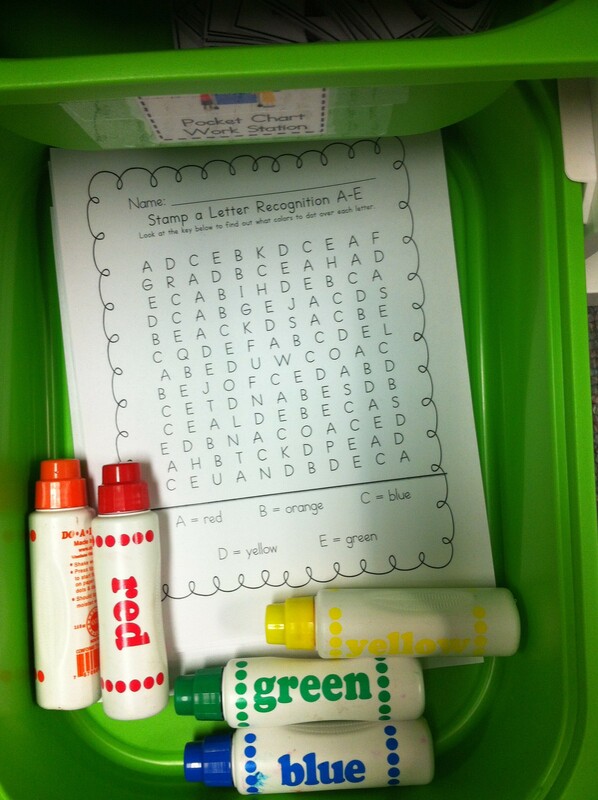 The kiddos use a bingo stamper and stamp their way through all the letters in alphabetical order. Marsha has included both upper and lower case letters so my children can get practice with both. This is the beginning of my magnet work station. 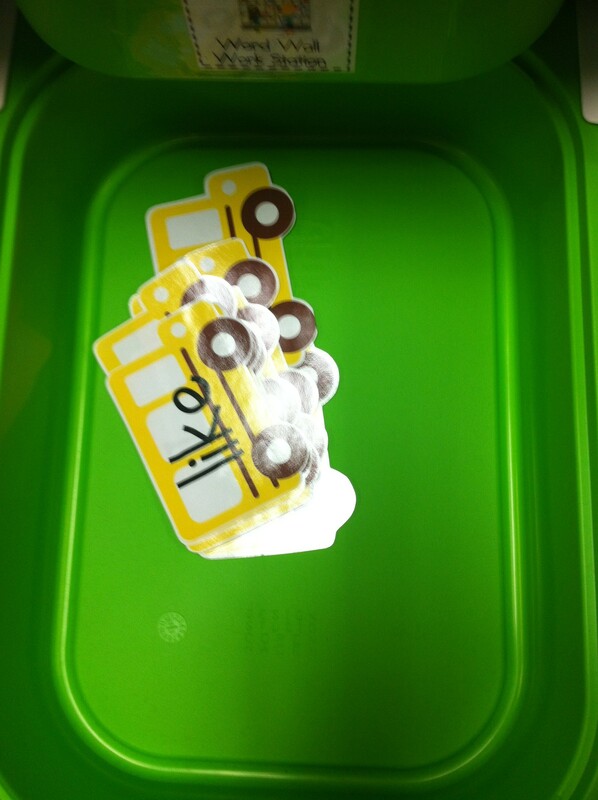 I’ve also added colorful magnetic letters to this tub so my kiddos can spell the words on the buses, or they can just experiment with their own names or other words right now. Another one of Marsha’s creations from the same pack I mentioned above. There are 12 cards hidden around my room and the children have to find them, match the picture to the spot on their mat and then write in the beginning sound in the word. (No one has caught on yet that they can just write the beginning sound down by looking at the picture–that’s how great Marsha’s activities are!!). Marsha has also included other uses for the hidden cards and this sheet. 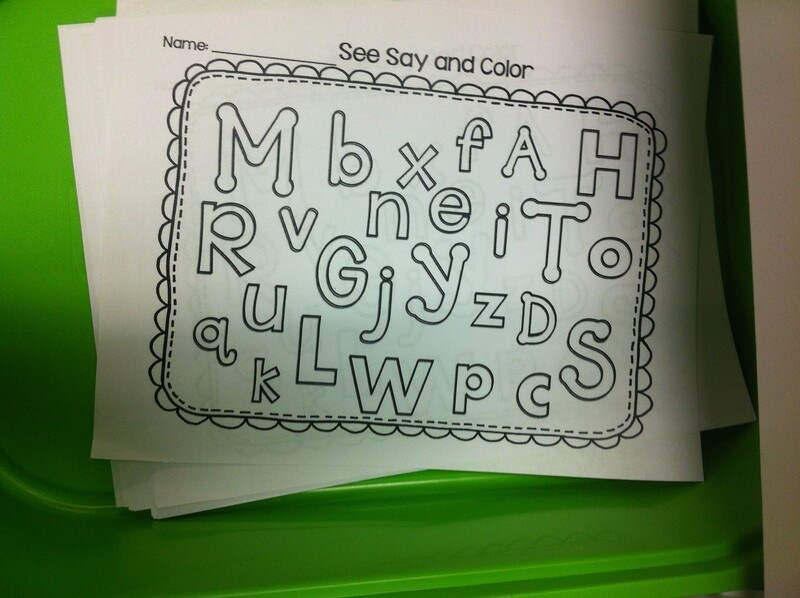 See, Say, and Color (from Marsha!). I added a box of crayons and magnetic letters to this tub. The children will pull a letter and name it. Then then color it on their sheet. 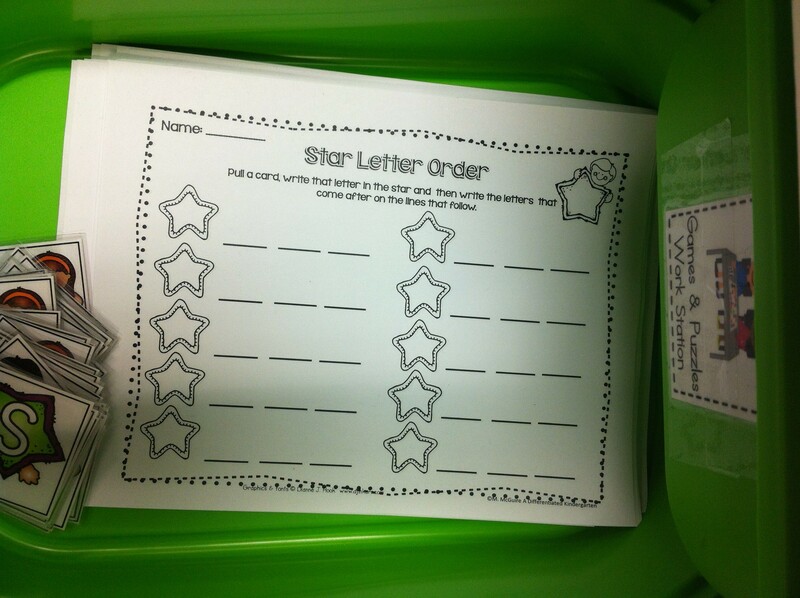 My kids loved Marsha’s Star Letter Order! They pull a card from the stack (other uses for these cards will happen later!) and write that letter down in the star. They then write the three letters after it. 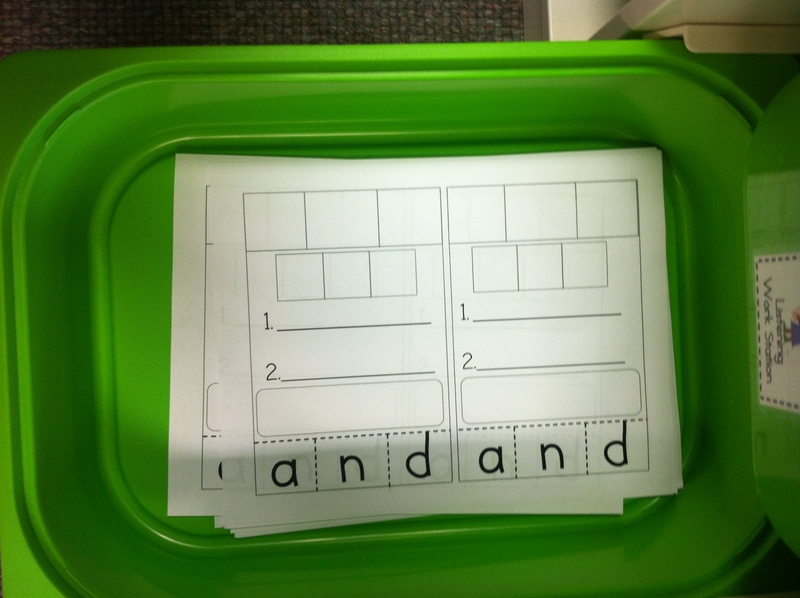 The stack includes upper and lowercase letters to make it a little more challenging! This activity is from my Stamp an Uppercase Letter pack. The children use the do-a-dot stampers to stamp the uppercase letters the appropriate color. 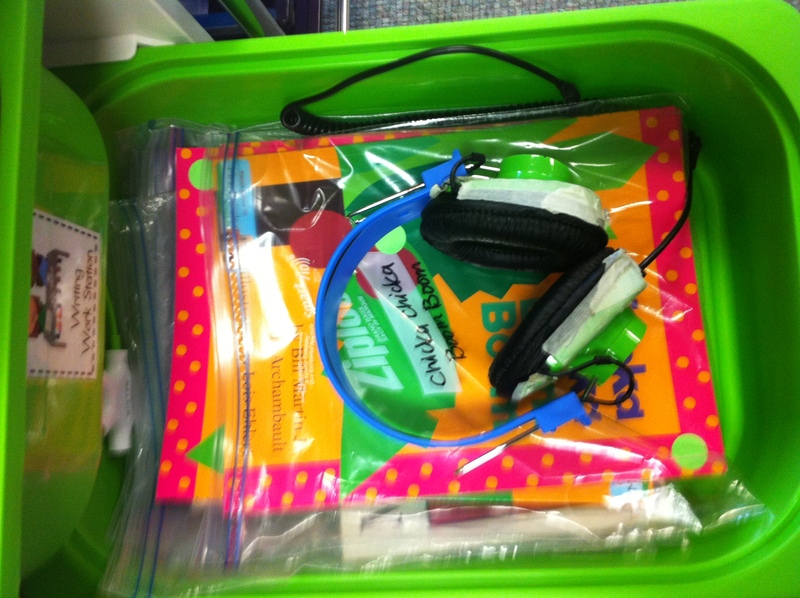 I created this activity to go along with our Journeys reading series. 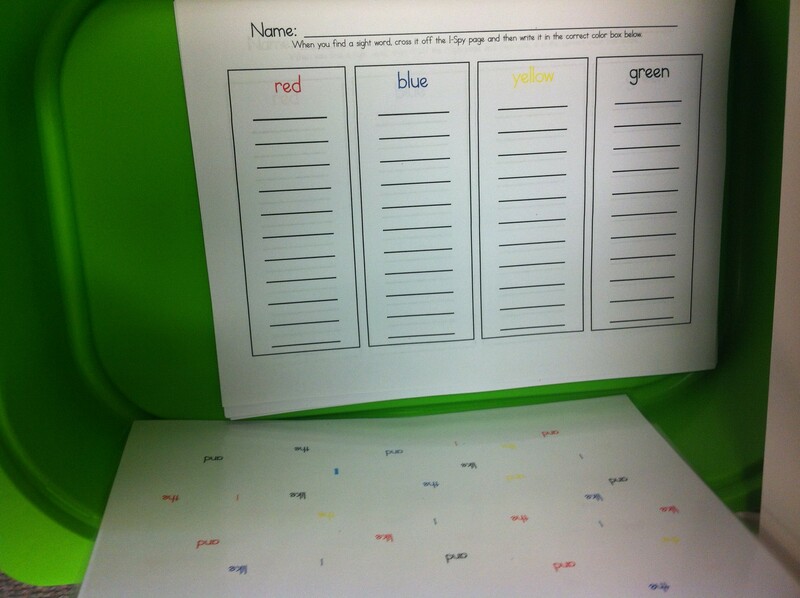 The children will use hand lenses to find tiny and colorful words on the first sheet (standing up) and then write them in the appropriate columns on the recording sheet (the one laying down in the tub). This is our listening work station. Missing from this picture are two iPod touches. I posted earlier this summer about how I plan to use the iPods so that my kiddos don’t have to be tied to the wall with a plug. These pages will go in our Word Work journals (something new I’m trying this year!). They will each have 1/2 of a sheet and then they recreate the target word in several different ways. Posted on September 4, 2013, in Literacy Work Stations. Bookmark the permalink. 5 Comments. What do the kids do at the Library Work Station? Awesome!!! I just started using ‘skills’ tubs today. These are just what I needed to help me continue on. I hope your kiddos love these Kristen. Thanks for sharing your plans with everyone. Looks like a great week!! 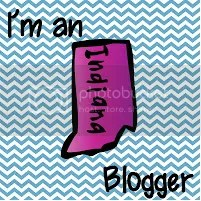 I LOVE Marsha’s stuff too!! !